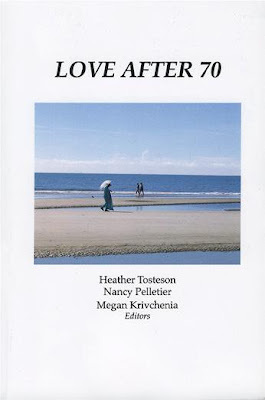 Wising Up Press announces release of a new anthology, Love After 70. It includes the work of Hoboken, New Jersey writer Roxanne Hoffman* and is edited by Heather Tosteson, Nancy Pelletier, and Megan Krivchenia. Wising Up Press, located in Decatur, Georgia, is a new small press started by Universal Table, an organization whose purpose is to encourage and support our appreciation of diversity. 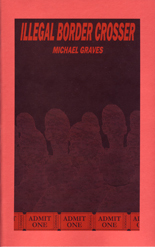 Its first anthology, Illness & Grace, Terror & Transformation (2007) focused on how people find meaning in illness and trauma. The second, Families: The Frontline of Pluralism (2008) explores the challenges and rewards of our everyday experience living up close and personal, willingly or not, with differences in genes, sensibility, abilities and disabilities, sexual orientation, race, religion, and culture. All three books are available on their website, www.universaltable.org/bookstore.html, and are also available through major internet booksellers such as Amazon and Barnes and Noble.